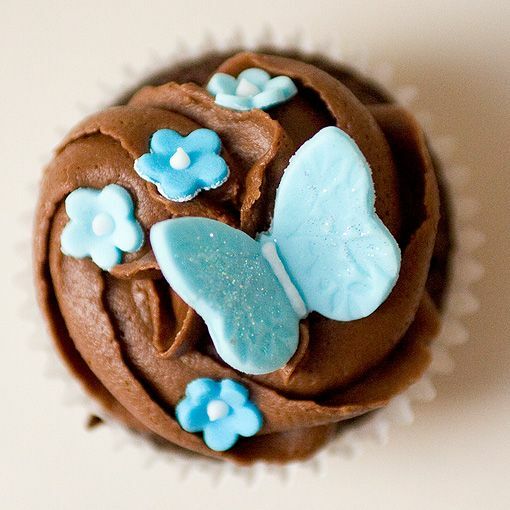 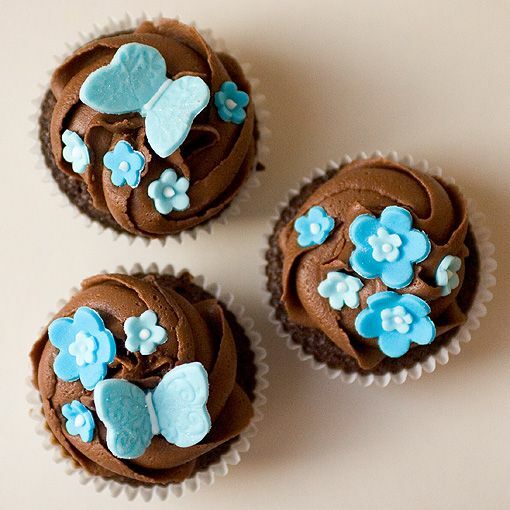 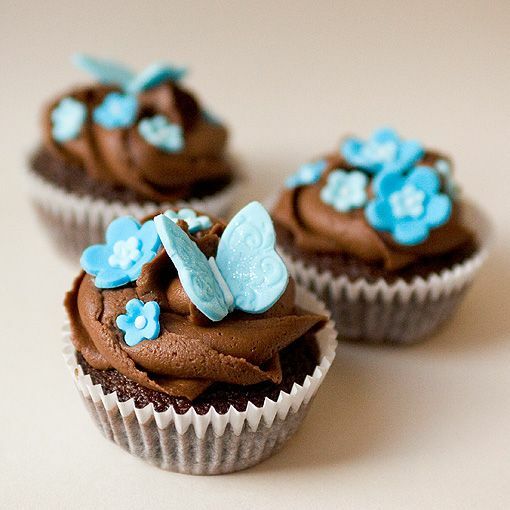 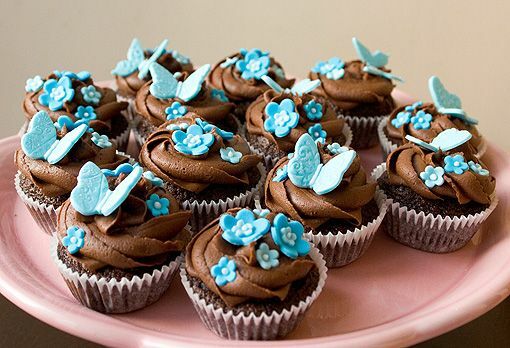 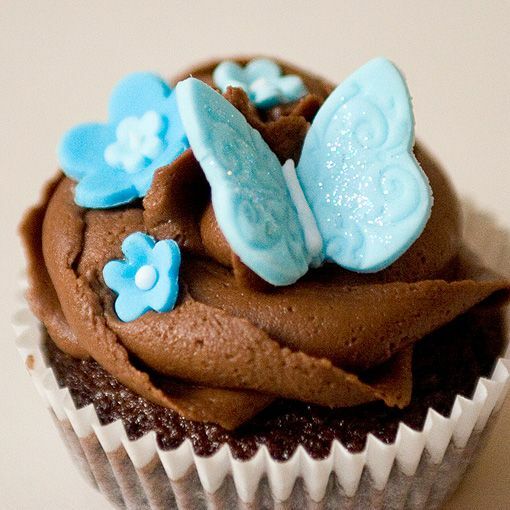 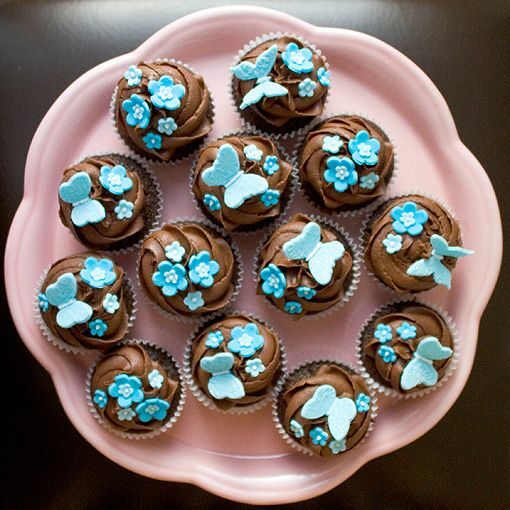 I made some chocolate cupcakes for Choc & Chat tonight, with some fondant butterflies because I wanted to get some more practice in. 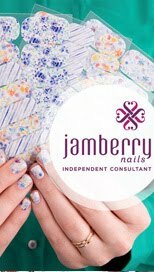 I love how they came out - so pretty and girlie, especially with the shimmer of edible glitter! 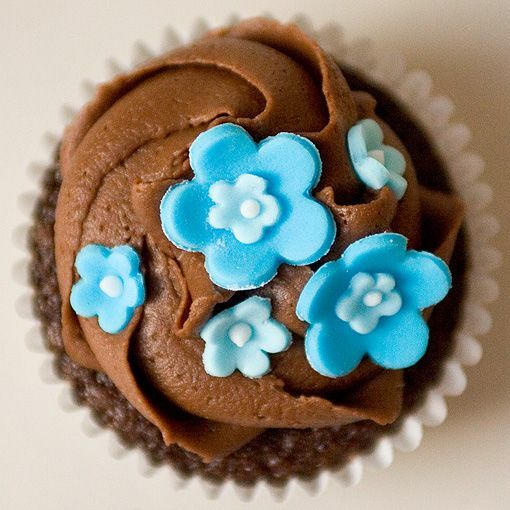 I had blue leftover from Noah's car cake and I think it goes so well with the brown.